What does the weather have in store for the Bank Holiday? Millions of Britons planning a bank holiday getaway should expect a “messy” weekend of weather, forecasters have warned, as rain and thunderstorms hit parts of the UK. More than 13 million drivers are expected to hit the road for trips over the long weekend, with congestion set to be worst on Friday evening, according to the AA. The Met Office is reporting the heaviest, and most frequent showers will tend to be toward the north and west of the country. However, on Sunday, cloud and outbreaks of rain may spread across some parts of England and Wales, with thunderstorms predicted in the South East on Saturday night. The band of rain is forecast across large parts of England during Sunday, before the weather improves for bank holiday Monday. Helen Rossington, forecaster at MeteoGroup, said: “ We’re definitely not on for a heat wave. “On Saturday there will be showers in the north, and the south is also at risk of rain. There is risk of thunderstorms overnight into Sunday across Kent and Essex. “Sunday is a bit of a messy one. There’s a band of rain starting from Cornwall up to Lincolnshire. Anywhere through the Midlands would have a miserable day with plenty of rain. “The South East corner will have a fair amount of cloud around, while the north of England will see sunshine and showers. Temperatures will be average for this time of year, reaching around 23C in London and in the high teens in most places. Revellers attending Notting Hill carnival in London and Reading Festival have been warned to expect showers, while rain is also expected to hit Leeds Festival over the weekend. A poll of more than 12,000 AA members found 39% are likely to be on the road either for a day trip or overnight stay, and the average trip will be around 90 miles. This equates to the equivalent of more than 13 million drivers on leisure journeys this weekend, the AA said. Max Holdstock, of the AA, said: “August is a full-on bank holiday weekend, so it’s always a bit of a mad scramble on the roads. The bank holiday getaway is also set to be hit by serious disruption to the rail network due to planned engineering work and strike action. Improvement work is taking place on the West Coast Main Line which will affect services from a number of key locations, including Birmingham, Manchester, Liverpool and Glasgow. Many passengers will be forced to make multiple changes, use replacement buses and suffer extended journey times. Revellers attending Reading Festival are set to be hit by strike action from Saturday to Monday by members of the Rail, Maritime and Transport union as First Great Western passengers travelling towards the South West will face reduced services. Meanwhile, a survey by Which? suggested one in five Britons would be travelling, with nearly two-thirds by car, 17% by plane and 15% by train. Almost half, or 46%, of those travelling said they expect delays, while three-quarters are either planning to leave earlier, travel at a “quieter” time or break up their journey with an overnight stop. 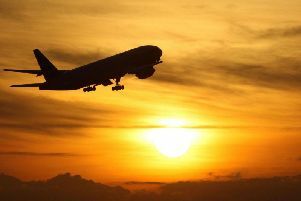 August was the worst month for flight delays, the consumer rights group said, with 3.7 million passengers on 38,000 flights delayed by at least 15 minutes over the period last year. Some 790 flights had seen delays of more than three hours. The RAC warned that there is normally a spike in engine problems and punctures over the August bank holiday period. RAC spokesman Pete Williams said: “Punctures are also a common reason for call-outs over the August bank holiday weekend as a number of cars no longer come with a spare.